Like any event in history, the Protestant Reformation of the sixteenth century was messy and complex. It cannot be reduced to one issue (such as indulgences or justification) nor one figure (e.g., Luther, Calvin). Furthermore, I do not believe it can be simply classified as good or bad. I’m somewhat sympathetic to some of Martin Luther’s concerns, for example, and wholly unsympathetic to those of King Henry VIII. It is too easy for Eastern Christians to look at the Reformation as just another example of how the West went wrong, seeking to trace everything to 1054 or St. Augustine or whatever simplistic narrative helps us feel superior. 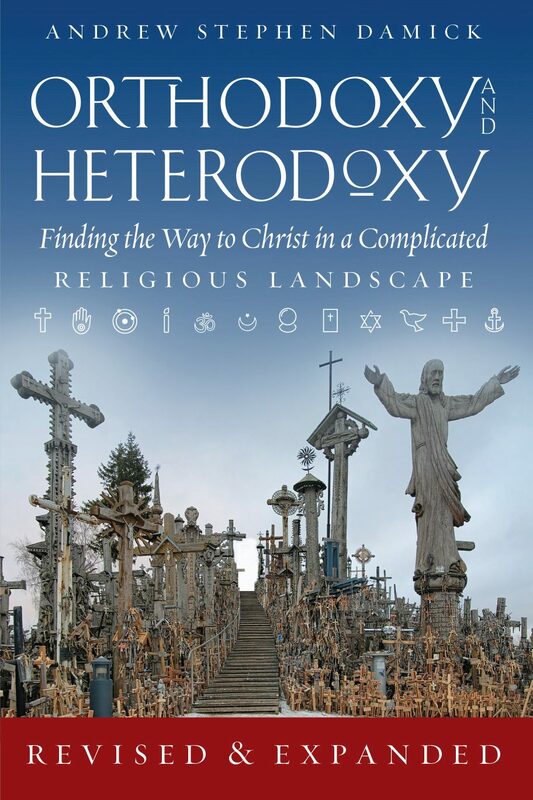 Orthodox spirituality, however, places humility above all other virtues, and humility in historical studies requires charity, nuance, and objectivity in addition to criticism. In that light, I contend that the elevation of the importance of the conscience has been a good fruit of the Reformation, no matter what one ultimately thinks of the whole. In many ways, for those who know the historical details, the Reformation does not seem to have been a victory for conscience at its start—quite the opposite, in fact. Roman Catholics violently persecuted magisterial Protestants. Magisterial Protestants violently persecuted Roman Catholics. Both sought to use political power to enforce their vision of right religion and impose it upon others. Even the Peace of Augsburg of 1555, which established the principle cuius regio, eius religio (“whose realm, his religion”), simply designated the choice of religion to the sovereigns of different regions. And both Roman Catholics and magisterial Protestants were at times ruthless toward Anabaptists and others of the Radical Reformation (who were not always so peaceful themselves in the beginning, either). The sixteenth century was not a time of tolerance. Castellio did not invent this idea, of course, but his is perhaps the earliest full articulation of the implications of this conviction since the first Christian apologists (e.g., St. Justin Martyr, Tertullian, et al). And though his voice was nearly solitary in his time, it proved loudest and truest in the ages to come. That Castellio’s conviction should not be considered some modern peculiarity can be demonstrated from any careful reading of the Pauline epistles in the New Testament. St. Paul says that everyone has been given the law of God, “written in their hearts, their conscience also bearing witness” (Romans 2:15). In 1 Corinthians 8 and 10, he offers an extended ethical treatment of the need to respect the consciences of others. In 2 Corinthians, he appeals to his own and others’ consciences as a testimony to his ministry (see 1:12, 4:2, and 5:11). In 1 Timothy, we read of the importance of a good and pure conscience: “the purpose of the commandment is love from a pure heart, from a good conscience, and from sincere faith” (1:5). Those who rejected conscience “suffered shipwreck” (1:19) in their faith. The Reformation, of course, was not limited to Protestants, nor was the realization of the importance of conscience in the modern era. The Roman Catholic Church had its own internal reformation or “Counter-Reformation.” In the nineteenth century, it still officially held the following statement to be an error: “Every man is free to embrace and profess that religion which, guided by the light of reason, he shall consider true” (Syllabus of Errors, 15). Nevertheless, many Catholic intellectuals, such as the classical liberal historian and British lord John Acton, had broad visions of the importance and sanctity of conscience. Acton even once defined true liberty in society as simply “the reign of conscience.” And he warned, summarizing a nonconformist Protestant tract from the seventeenth century, that it is “a sin either to follow an erring conscience or to go against it; but to oppose it the greater sin, for he that will do the least sin against conscience is prepared in disposition to do the greatest.” One is reminded of the biblical warning against those who speak “lies in hypocrisy, having their own conscience seared with a hot iron” (1 Timothy 4:2). To be sure, the conscience needs to be refined, but if one has built a habit of ignoring it, no amount of refinement will matter. Though liberal Catholics like Acton were on the fringe in their own time, the Second Vatican Council represents a true aggiornamento in the right direction for Rome when it comes to religious liberty: “every man has the duty, and therefore the right, to seek the truth in matters religious in order that he may with prudence form for himself right and true judgments of conscience, under use of all suitable means” (Dignitatis Humanae, 3). This should not be understood as bald rationalism, as if one’s reason and conscience had no need of assistance (see above), but rather as an affirmation of the dignity of conscience, the right to be wrong, and the sanctity of peace between those of opposite viewpoints—something we all could use more of today. Indeed, it is my conviction that we Orthodox could, and in fact do, benefit from the Reformation’s revolution of conscience in the modern era. In the twentieth century, many Orthodox forced to flee persecution and intolerance in their homelands found hospitality and dignity in historically Protestant and Catholic nations in the West. For converts like myself, it must be acknowledged that the possibility to become Orthodox in such societies without fear of hostility is a fruit of the Reformation and moreover rooted in the Gospel itself. We ought, in humility, to be grateful for this gift and pray “the reign of conscience” will extend across the world and be preserved in our homelands. We ought, at least for this, to be thankful for the Reformation. 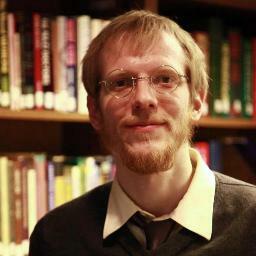 Dylan Pahman is a research fellow at the Acton Institute for the Study of Religion & Liberty, where he serves as managing editor of the Journal of Markets & Morality. He is author of the book Foundations of a Free & Virtuous Society, a primer on the integration of theological anthropology and economic science. He writes regularly on the ascetic life at Everyday Asceticism. Follow him on Twitter: @DylanPahman. I find your article interesting and informative however, I am not so sure that the Protestants and Roman Catholics could be classed as universally welcoming and supportive. I seem to remember Saint Peter the Aleut who was not given such a reception, I also remember the actions taken by Protestants to force the Aleuts to become Protestants after the US purchased Alaska. It has also not been my experience in every case since my conversion. I have had the gamut of reaction from outright hostility and claims that I am damned to people praying for me to come out of my error. I would more likely characterize the reception of Orthodox as one of ignorance and collective ignoring rather than acceptance. I point to the recent conversion of the Bible Answer Man and his experience as indicative of the general mood towards us, especially those who convert. That’s fair. Although by “hostility” I meant more on a legal/political level or actual violence. Culturally things could sometimes be better, but actual violence simply for being Orthodox is nearly unheard of. I also don’t see anything wrong with people praying that others change their ways. Don’t we pray that all become Orthodox? I don’t do so as an attack on my non-Orthodox neighbors but out of love for them. You are right that the Aleut were not treated well, and I don’t meant to suggest that there are no exceptions like that, but unfortunately I think the case of the Aleut has more to do with them being Native Americans than Orthodox. As for Mr. Hanegraaff, the Bott Radio Network dropped his show. But he also put them in a pretty awkward place. Some people wrote some mean and unfair things, but he hasn’t been run out of town or imprisoned or executed. He is not fearing for life, family, or property. People are not using the force of the state to stop him from making podcasts or prevent him from attending liturgy. And so on. It might sound like I’m picking extreme examples, but these things were commonplace at one time. The fact that such would be outrageous and absurd not only to us Orthodox but most everyone else is evidence of the Reformation’s positive legacy of freedom of conscience. In the strict sense of legal actions, you are correct. The Orthodox have not been attacked physically since the era of the 4th Crusade and the Roman Catholic Aggression in the Ukraine and other Serbian lands. Yes Hank left some people holding the bag . Others have gone so far as to claim that the Orthodox being persecuted in the Middle East aren’t really Christian. But, as I said, your article is informative and well worth reading. The History of the Reformation is convoluted and difficult to sort out. Your assessment is a good and fair look at it. 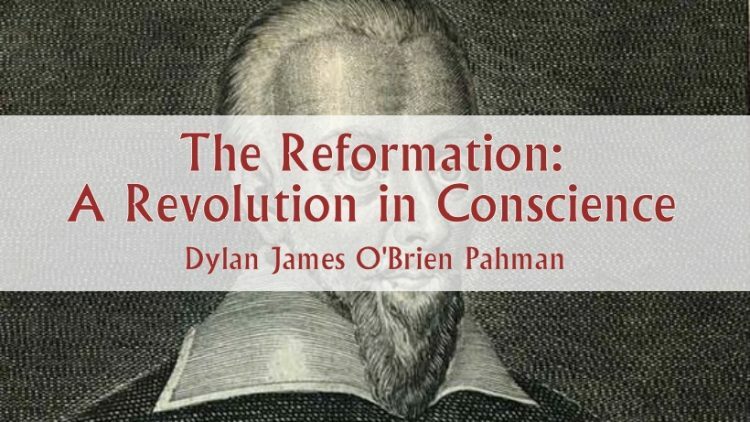 The “the reign of conscience” was paralleled by the rise of the Nation State (over the Church, which had, generally speaking, operated as a restraint upon its excesses up to that point) and the rise of the individual as the primary focus in society. I know of many Catholics who consider their conscience to be more important than the teachings and Traditions of their church. This is, in my opinion, the default position of most of Society, both religious and non, in our day and age and it is a terrible error. The Reign of Conscience, and the primacy of the individual, is in dire need of the restraint and focus that Church authority, given in love and humility, provides. That doesn’t mean that it has no use (your points on tolerance and non-violence, while broad stroked by necessity, are good ones), but it should never be the primary determinant of our understanding or our actions. Just my thoughts. Right. There is an important distinction between wanting no one’s conscience to be forced and mistakenly concluding that therefore all one needs is one’s own conscience. Given the rampant and oppressive nationalism that followed in the first half of the twentieth century, I think he was unfortunately quite prescient. Yes there is definitely the issue of nationalism (or better stated, One World Order) but I think the bigger issue is that there is now only the primacy of the individual in most people’s minds. I think it more important that the authority of the Church is recognized and it once again become a restraint against both of the extremes (nationalism and individualism) that now hold sway. However, I don’t think this will ever happen (again) anywhere but within the Church itself; those that accept its authority humble themselves before God. Just my thoughts. Great Article and well written! !